Kenzie and I put the new Garnier Fructis Hydra Recharge Shampoo and Conditioner to the wash test in the shower this week and my little girl was VERY excited to assist and share her thoughts now that she is old enough to wash her hair by herself. I should really record her thoughts as they are too cute! 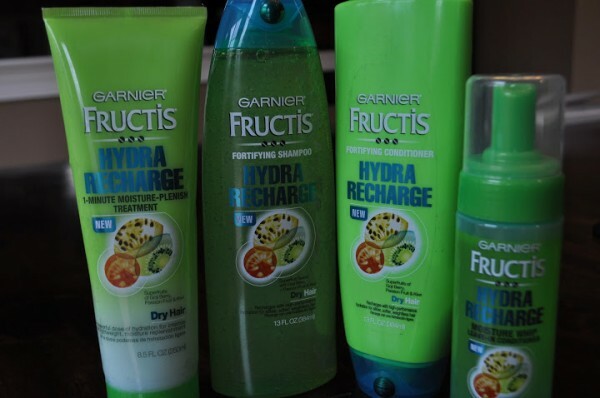 Basically, what’s different about this shampoo is that each bottle of Fructis Hydra Recharge shampoo literally has THOUSANDS of Superfruit Beads. When you pour the shampoo into your hand you can see these little microbeads and when you massage the shampoo into your hair you can feel the little gritty particles too. Kenzie was VERY impressed with this feature as you can imagine a 7 year old would be! When the superfruit beads contact water, they immediately burst to release a concentrated dose of anti-oxidants and nutrients designed to replenish moisture in your hair. So this is a great shampoo for anyone with dry hair and it truly leaves an ultra moisturizing and fresh feel to your hair. Goji berry, passion fruit and kiwi are the “superfruit beads” in Garnier Fructis so you can imagine it smells super fruity and wonderful. It reminds me and Kenzie of a salon scent that is super fruity. Like going to the spa! Kenzie was wild about the conditioner too and claimed it really got the knots out better than anything she’s ever used…… I liked it but felt it was comparable to other conditioners in removing my knots. 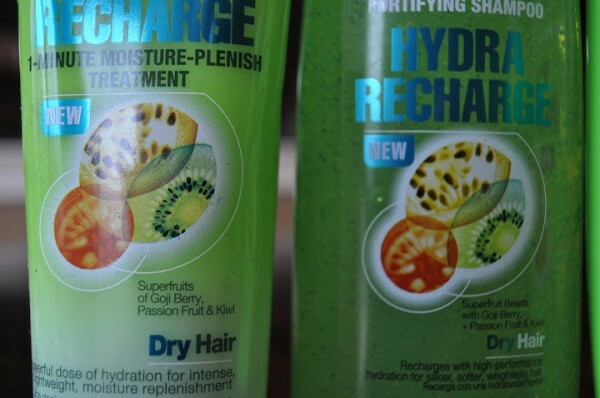 I did notice Kenzie had zero complaints during the brush out procedures post shower, however, I’m not sure if it truly removes knots better or Kenzie just overzealously applied the Fructis Hydrarecharge conditioner since she was so excited to do a review. The answer may be that she just needs to use more conditioner when washing her hair to remove those testy tangles that kids are so likely to endure!